Updated: The band have now been in touch with us to clarify all off this, and confirmed the T-shirt is no longer on sale. @rocksound it was meant to be seen as an opportunity for him to laugh at his mistakes w/ the rest of the world and move on. 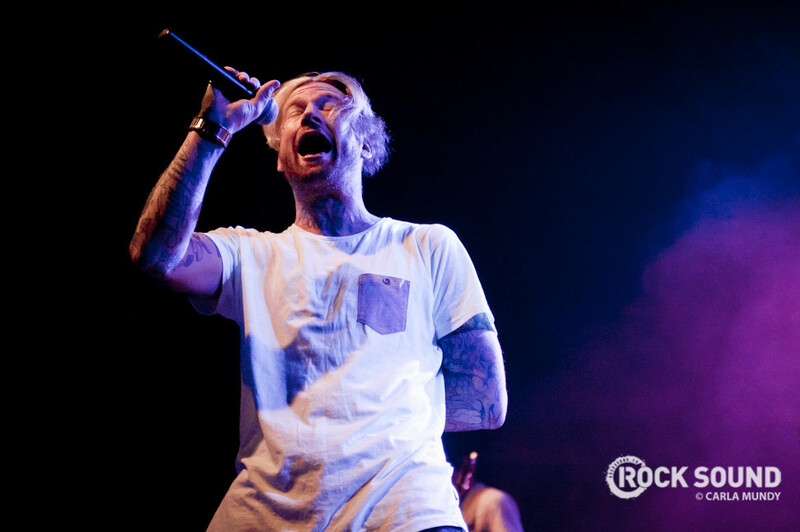 You might remember that back in 2011, then-Dance Gavin Dance / Emarosa man Jonny Craig was called out for obtaining money from fans on the false premise of selling them MacBook computers. All that happened at the height of Craig's drug addictions, and once the events came to light, he did issue an apology and entered rehabitilation. "I want to apologize for my recent behavior. My actions regarding taking advantage of fans was inexcusable. I'm in the process of paying everyone back so please forgive me. My state of mind was completely shot and obviously my decision making skills were heavily impaired due to my drug use. I've since been in detox and successfully completed the treatment. I've learned a lot from this ordeal and I realized I've redeemed my second chance. I want to personally thank Eric at Artery and Craig at Rise for helping me through this emotionally and financially. I'm embarrassed with my past actions, I want to make amends to everyone I hurt. Again, sorry to all my fans, family, band mates and colleagues. I'm truly sorry. Now back to work...I'm looking forward to seeing all the DGD fans and their positive energy that they always bring to the shows. With that being said, the past will stay dead and let's toast to the future kids."